First timers will find that there are a lot of things to do in Singapore even if you just stay for 3 days or less. Our first time to visit Singapore (or SG) has been a quite relaxing and fun adventure. If there is one thing that I appreciate about Singapore, it is their efficient transport system that is easy to navigate especially for first-timers. As long as you are able to read a map, follow directions and all that, navigating your way around the city can be fun and exciting. As our travel usually involves a couple of days only, we always want to have the best experience. Of course, there are times that we go unprepared and often just do on-the-spot decision making as to where to go next. I must admit we often do that on some of our travels. Our Singapore trip was just like that. A bit unpredictable but satisfying. We did not spend hours planning our trip. We just decided to go where our feet can take us and explore what is near and easily accessible. To be honest, our expectations of Singapore was really high and it did not disappoint. Camera on hand and map at the ready, my husband and I was set on exploring Singapore on our own. Upon arrival, it is noticeable how the airport alone is a place that you can spend a day in and explore. 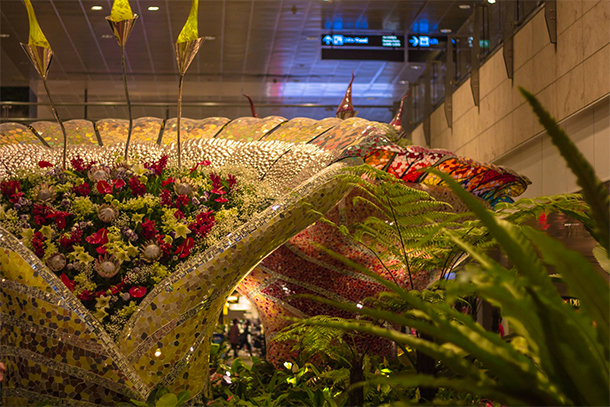 The Changi International Airport has been awarded several times as one of the best airport in the world and rightly so as it is in itself a destination that provides entertainment to all locals and visitors. Here, there are a lot of things to do that guests in Singapore will love. The latest add-ons to the airport is something that I’ve been looking forward to when we visit again. 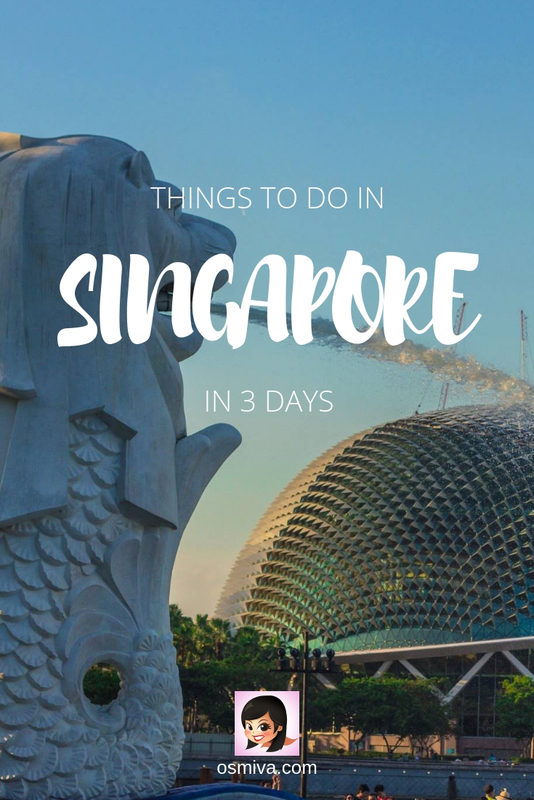 If you find yourself in SG for a few days, here’s a list of Things To Do in Singapore for First Timers in 3 Days to help you decide the best way to explore the city! One of the great, yet totally free thing to do in Singapore is to enjoy the beauty of the Marina Bay and be awed with the amazing infrastructure. The ArtScience Museum, Marina Bay Sands, Helix Bridge and the iconic Marina Bay Sands is a treat to the eye. We did this on the day of our arrival and waited for the ‘golden hour’. It was indeed mesmerising with the golden reflections especially on the Marina Bay Sands. 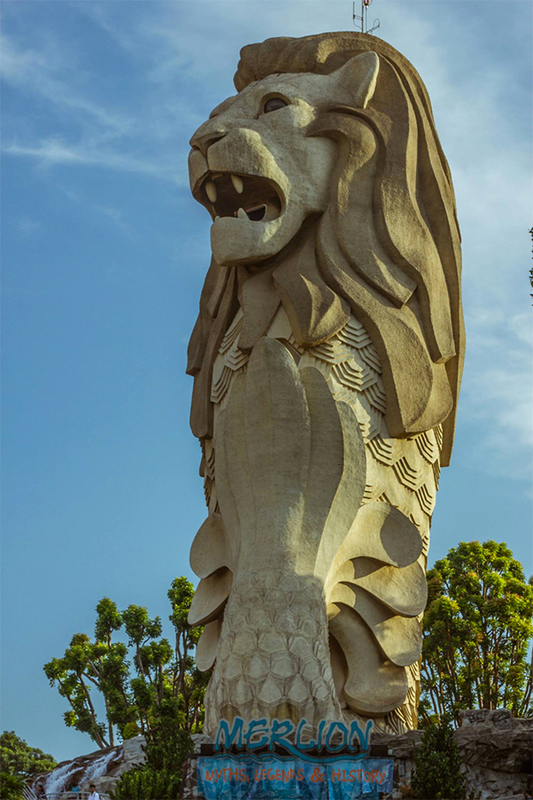 Walk a few meters and you will find yourself at the Merlion Park. 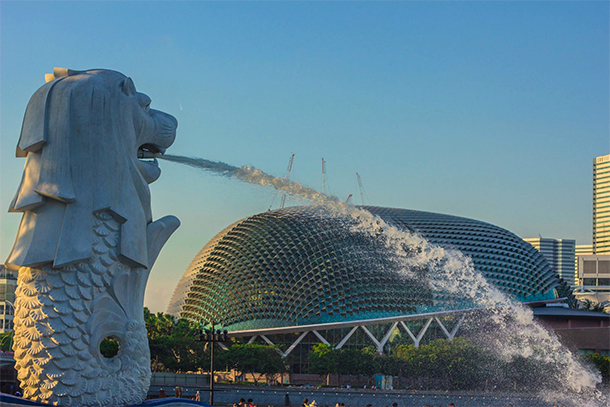 The Merlion is a Singapore landmark that draws a lot of people. Admittedly, when we got there, it was packed with tourists taking a photo of themselves with the SG icon. If you are able to take a photo of yourself without the usual photo bomber, then consider yourself pretty lucky! Farther along, you can cross the Helix Bridge towards the ArtScience Museum and Marina Bay Sands. 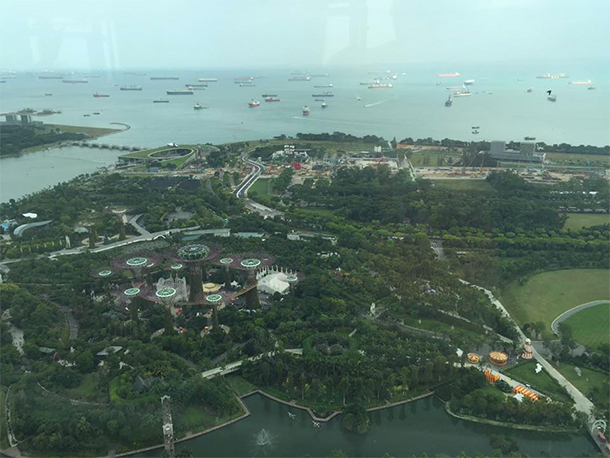 There is an access at the Marina Bay Sands that will take you to the Gardens By the Bay. 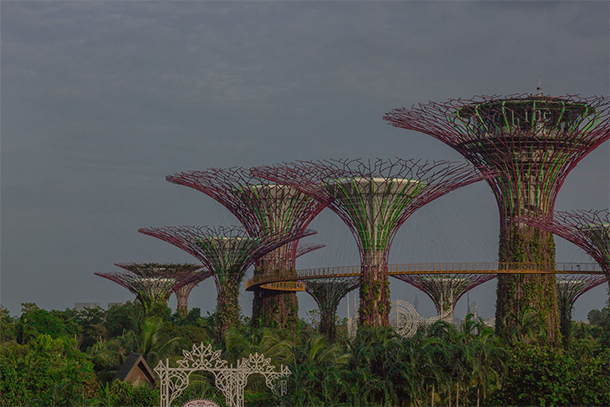 The Gardens by the Bay is a sprawling garden in the city with Supertrees that stands at around 9-16 storeys tall. We went there twice, during night time and in the afternoon. At both times, I was awed by the breathtaking views and its amazing structures. Due to limited times on both occasion, we did not get the chance to explore it further. The garden spans at around 101 hectares of reclaimed land so spending a few hours is really not enough especially if you’re a plant /nature lover. For us however, we just satisfied ourselves with a quick stroll around the area while marvelling at its beauty. I’ve mentioned before on how traveling changed me, that I used to get pretty scared of heights. However, I have been slowly conquering this. Good thing too, because if I didn’t, I wouldn’t enjoy this really awesome thing to do in Singapore. This was actually my first time to ride a cable car. 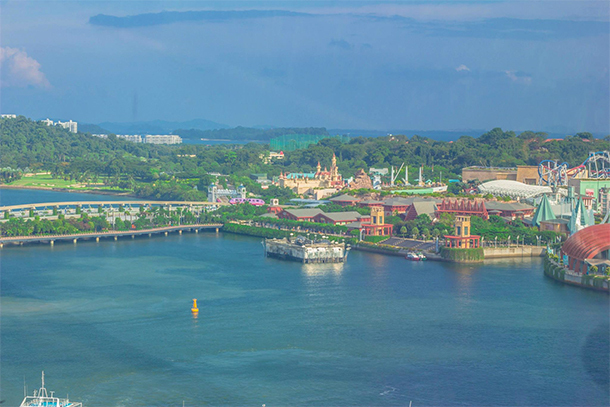 The views over the city and the Sentosa Island was amazing. We hopped on board on one of the cable cars at the Harbourfront Station. There are two (2) lines that you can take from here: the Mount Faber Line and the Sentosa Line. We did both on two separate trips: on our very first visit and on the second one on my birthday. On our first trip, we just tried the Sentosa Line, as we wanted enough time to explore the island as much as we can. 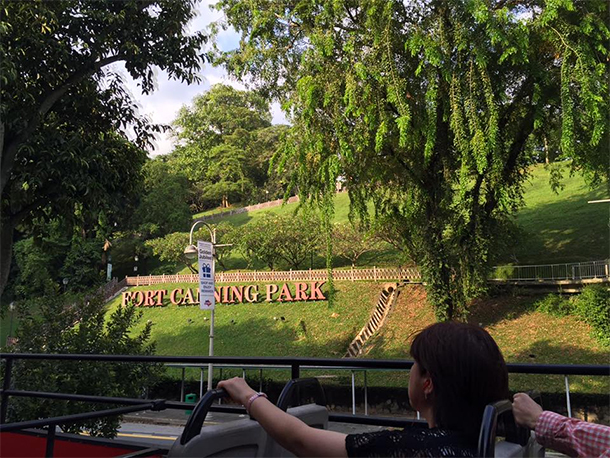 The second time, we still did the Sentosa Line but also tried the Mount Faber Line. It took us to Faber Peak where we had my birthday dinner. It was quite a romantic place to be in! 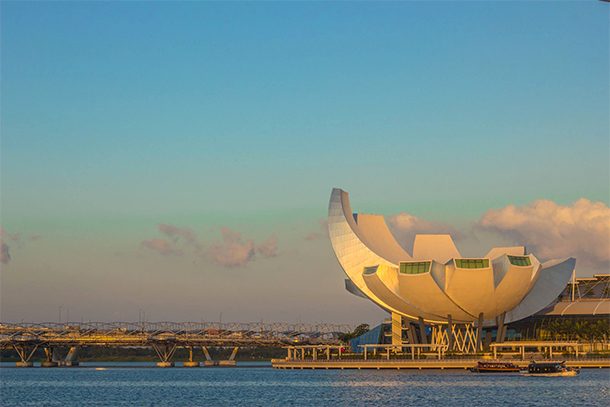 From the Harbourfront Station, hop-off at the Sentosa Station and do a leisure walk in Sentosa. This premiere island resort in Singapore is pretty large. So if you only have a limited time, better plan ahead on where you are going to. 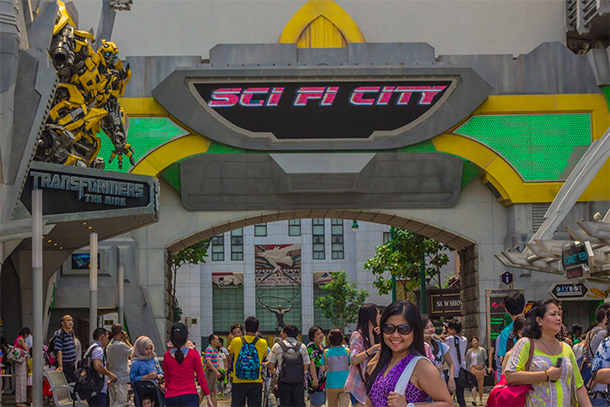 As for us, we took the road leading to the Universal Studios Singapore. Along the way, we passed by several fun stops that was equally as entertaining including the Tiger Sky Tower and the Sentosa Merlion. 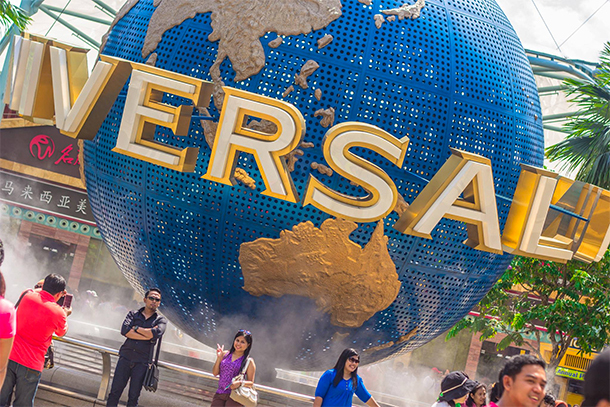 If you are like us who gets a kick out of visiting theme parks, then Universal Studios Singapore is definitely worth a visit. I vaguely remember taking heart-pumping rides like the Revenge of the Mummy and Transformers the Ride. An incredible improvement to my usual preferred rides. Ask my husband if you want! haha. There are seven zones to roam around: Hollywood, New York, Sci-Fi City, Ancient Egypt, Lost World, Far Far Away and Madagascar. Each zone are equally as enchanting as the next. If you’d rather get to know the city conveniently, try the Hop On Hop Off Bus for a quick tour. We tried this once and it was something my husband and I enjoyed. If you read one of my older post, I’ve mentioned how bus tours like this rock for short visits. So… instead of enumerating again why you should try it, I’ll just tell you that the tour was a fun way to know about Singapore. Like most sightseeing tours, the bus has a fixed route and certain stops. To be honest, we learned more from the tour than on our own. But then again, we lacked the planning on this particular trip, so who am I to compare. LOL. We stayed at the Ibis Singapore on Bencoolen on our first visit. The hotel is near the Kwan Im Thong Hood Cho Temple and Bugis – one of SG’s largest shopping district. This area alone is something to explore and we had spent a couple of hours here upon our arrival to look for souvenirs and get the feel of the area. 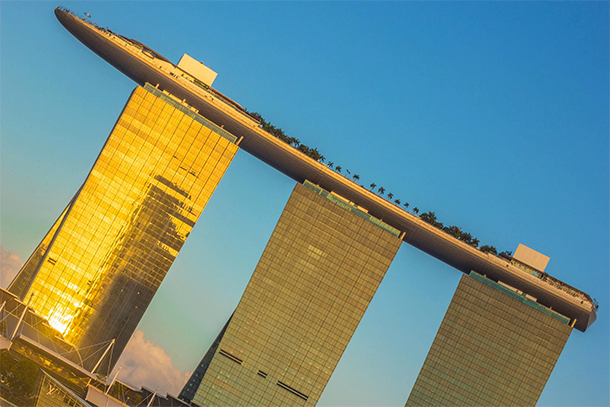 However, if you have a budget and would love to splurge, then stay at SG’s iconic hotel: the Marina Bay Sands. We stayed there for a couple of nights on one of our visits and I must say that the views and the pool is definitely something that you should experience. We were fortunate to have been booked on a room with views overlooking the Marina Bay. The city lights at night is amazing. I don’t know if I captured a great photo of it, though. LOL. We had our breakfast with views over the Gardens by the Bay. I generally love breakfast so this was such a great sight to enjoy my favourite meal of the day! A dip on their infinity pool is equally as awesome. The weather was a bit gloomy when we went up. Nevertheless, we enjoyed it and that matters most. 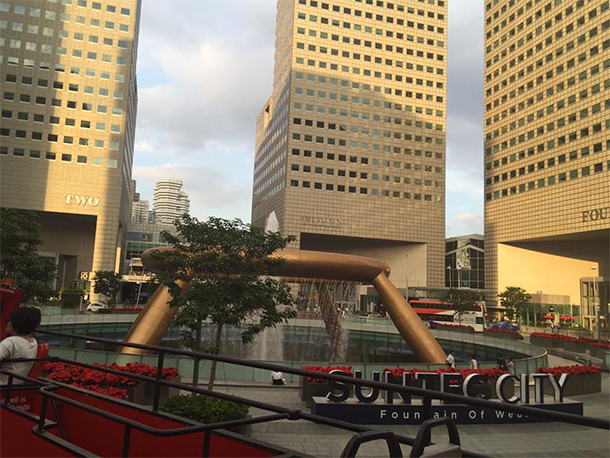 Singapore does have a lot to more and we still feel that we barely scratched the surface. However, if you – like us – have limited time, this post will definitely give you an idea on what you can do on such a short time. But if you have more days to spare, make more plans and visit all of Singapore’s top tourist attractions. You may even explore those that are not that popular but equally as amazing. Some amazing buildings and photos here, thanks for sharing. I have a friend who lives in Singapore but I have never visited it. Been twice and still not made it to Sentosa! Next time for sure! We loved gardens by the bay and the domes – highly recommended! Thanks for this guide! Your photos are amazing! Like you, I usually have limited time at a place and it’s nice to know that other people are trying to make the most of what time they have, too. Haven’t been to “SG” yet, but I’m working on it! I have been to Singapore many times, but not for quite a while and a lot has changed. I am planning a trip early next year and have bookmarked this page for reference! It looks like there are some amazing things to see in Marina Bay and I look forward to exploring them. I loved Singapore but I went years ago. 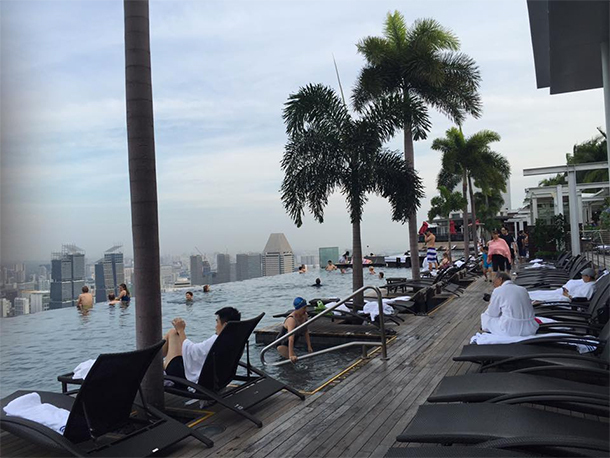 I would love to go back and stay at Marina Bay Sands. I think the pool looks amazing. Totally agree about the pool. The views are awesome! I really loved Singapore – the first time I visited I was 6 – and the next time was nearly 50 years later! I was quite impressed by Gardens By the Bay and also loved the cosmopolitan food scene. There’s more to see though, as I can tell from reading your post. Thanks! I love Singapore! Beautiful photos! 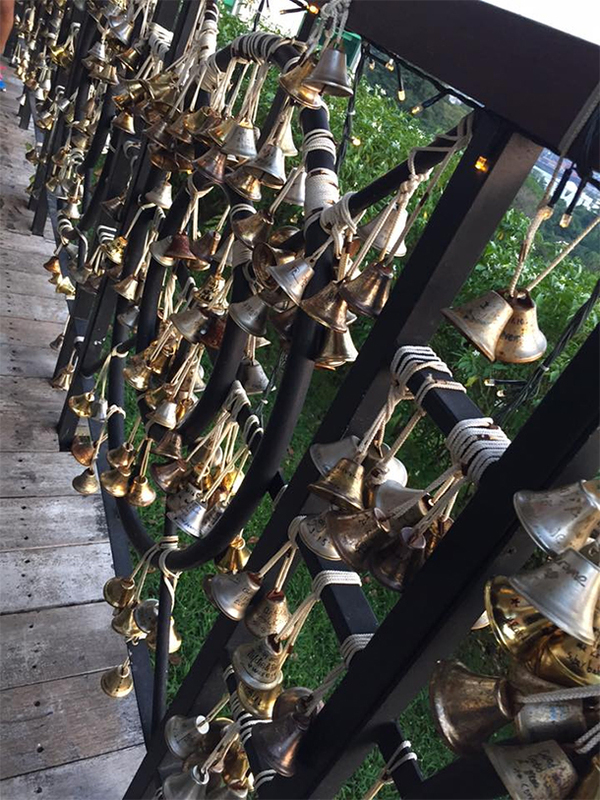 I like the bells rather than locks on the bridge! I’ve never considered the architecture in Singapore!! Great highlights! I loved Singapore and your post brought back great memories. I’d love to visit Singapore. My husband has been and really enjoyed it. Now, I really want to visit Universal Studios. It looks like so much fun! I’ve never been to Singapore…would you consider it a kid-friendly destination at all? I’d love to spend some time soaking in that infinity pool for sure! We love a hop on hop off bus tour too! Great post. I love your photos. We haven’t been to Singapore yet, but this post has definitely confirmed it as a place we need to visit. So much great information here! I’m saving this because I’m hoping to plan a trip to Singapore next year and, as a first timer, it’s a little overwhelming. This will be so helpful, thank you! Great to hear that 🙂 I’m sure you’ll enjoy it! Happy travels! There are so many great things to see and do in Singapore. On my next visit I will definitely explore the Gardens by the Bay and Sentosa Island as I didnt have time for these on my first visit. I hope I will make it to Singapore soon, then your guide will come in handy. I pinned it so I can find it again when I need it. I was in Singapur a long time ago and I visited Sentosa. However I cannot remember the cable car, is it new? Wonderful concise guide. Singapore is one country I would never tire of visiting. Visited twice and yearning for more visit. You right about the unending free sights and experiences. I was last in Singapore nearly 10 years ago, so it’s fun to see all the ways it has changed in that time! Might need to pay a return visit one of these days! I went to Singapore at the beginning of the year, for two days and we have done completely different things! I want to go back and explore more. 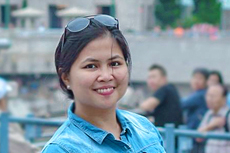 After reading your account, I would like to go on the cable car and see the Marina Bay Area, looks beautiful. Marina Bay Sands has always fascinated me architecturally. But I had no idea how many other cool things there was to do. Definitely one for thw travel list!! Definitely… My husband was in awe with the design too. Absolutely love the bridge with the bells! Reminds me of the famous lock bridge! I really need to make it to Singapore. I really need to make it there! I really want to go to Marina Bay and the Gardens by the Bay. Apparently the Bay is my area! Great post! That’s a cool post. With my SIL and quite a few friends & family living in Singapore, I’ve been invited to Singapore so many times, but somehow I’ve never got enough enthusiasm to head there. This is a cool list of things to do. Esp the Gardens by the Bay at night, looks gorgeous. Singapore has always been on my bucket list. Your tips are really helpful. The list is quite comprehensive for a 3 days trip. While Singapore is definitely on my bucket list, I’ve never taken the time to really look into some of the things that Singapore offers, so thanks for sharing this! The gardens by the bay looks especially cool! We loved Singapore (so much that we have been twice in the last year). This is a great introduction to the city. We loved staying in the Chinatown area too. Did you go into the conservatories in Gardens By The Bay? They are insane! We haven’t been there.. 🙁 It’s on top on my list when we visit again. I’ve heard so many great things about it! Singapore is one of my favourite cities in the world. Love the food, the buildings, green areas and attractions. I’ve been there three times and I haven’t done as much as you did. 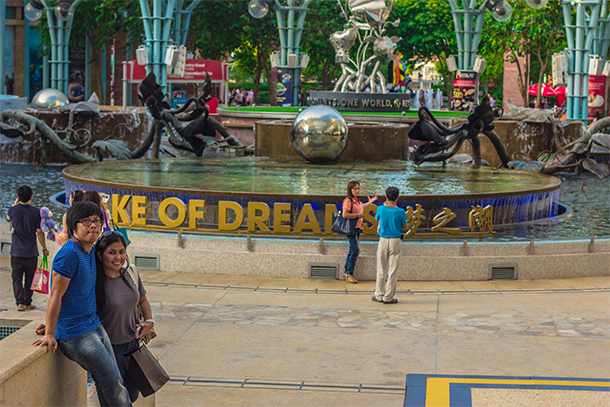 My husband has been to Singapore several times, and he’s described many of these attractions. So wish I could have accompanied him! 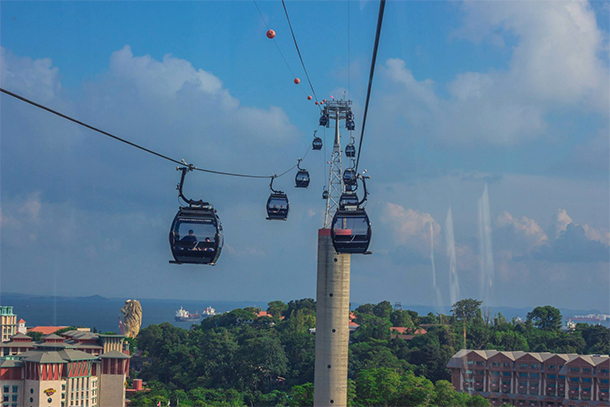 I’d love to ride the cable cars and explore Sentosa Island, too! Wow I love all these tips! Now I can’t wait to visit Singapore. Singapore is on my bucket list, I’m hoping to get there at some point next year. This is super helpful! Gardens by the Bay really stands out to me, I can’t wait to visit! Gardens by the bay have long been on my list but I never have had the time to amble there. I agree, three days are perfect for this sites. This is a simple yet comprehensive list of things to do in singapore. I am currently saving for my Asia trip next year and cannot wait to visit Singapore soon. Awesome post, as always. Thank you, Ufuoma.. Singapore should definitely be on your list! Thank you for sharing such a lovely guide. I’ve never been so this would be very useful for me in the future! Also pinned for later. The photos you took really helped illustrate the beauty! I missed out on a great flight deal to Singapore a few months ago. Now I’m super bummed! I’ll get there someday though. So many fun things to do in Singapore! I have a friend who lived here for a few years and was always raving about it. I would love to check out the Gardens by the Bay and ride a cable car! Great post! This will surely helps me with my travel in Singapore soon. Thanks for this! Will be moving to Malaysia in Jan. Will be visiting Singapore quite often I guess. Thanks for the suggestions. This is a great post and I wish I had read it before visiting Singapore last year! I went to Marina Bay and the Gardens by the Bay but other than that felt a little lost wandering around and wasn’t overly keen on it as a city! I only had 2 days so I probably needed a little more time to appreciate it. Ohhh.. I’m sure you’d love the other sites too 🙂 Next time.. Thank you! I’m sure you’ll it too! 😉 Happy travels! 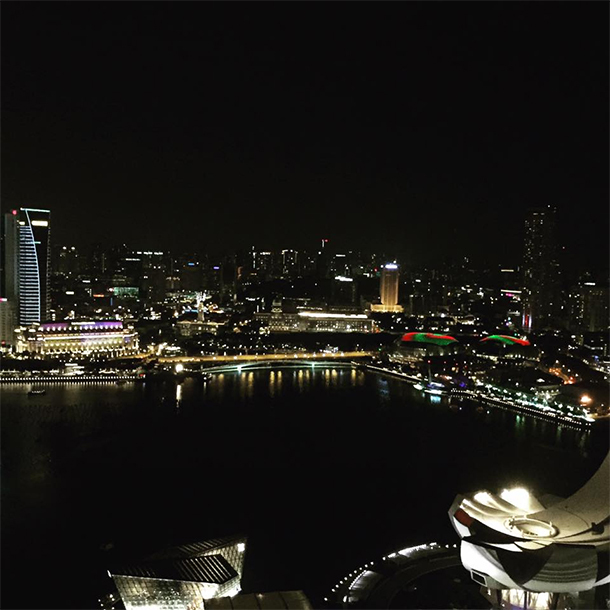 Singapore is one of my most favorite city/country, the fact that it is closer to home and it is very beautiful. I have taken some photos of the Marina Bay Sans, and your shot at the different angle, I was like “wow look at that!” So amazing. The architecture is stunning! I’ve heard great things about the food in Singapore, too! I’d love to explore next time we’re in Asia. It looks like you really crammed a lot of activities and sights into 3 days. We’ve thought about going to SG one day but would definitely like to spend more than 3 days there. That being said, if you got to see as much as you did we’d be happy with our trip. What a scenic city. 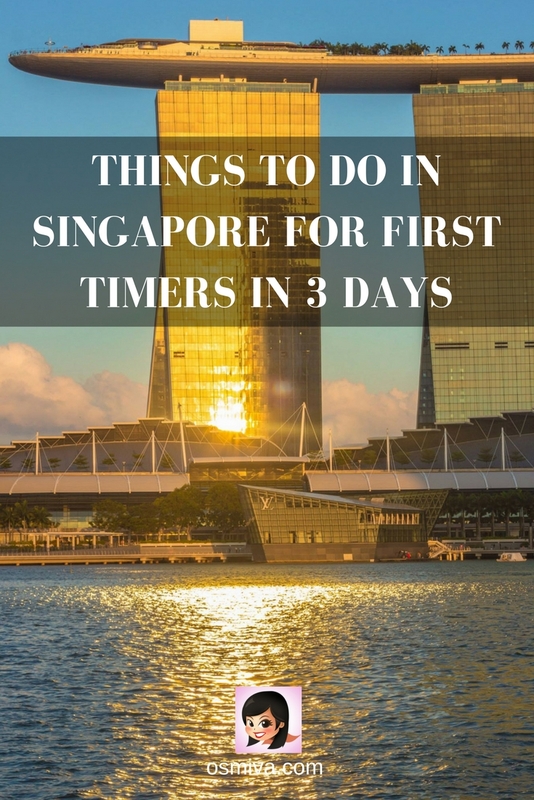 Having been to Singapore many times, I was curious to know what you suggest for first timers. And you are bang on ! There are many things to do but your list covers top most things. Yay! Went there with my friends last August. this post covered the top things to do in Singapore. Great job! Any reason why the lion is there? Or it is for ornamental purposes? I think the most important travel destination in Singapore is the Changi airport, it is always in headlines. Great post. Thanks for sharing. This is an excellent resource for planning a trip to Singapore. Singapore seems so magnificent and a definitely worth visiting travel destination! After reading your post, I am totally convinced to add it to my bucket list. When’s the best time of the year to explore it? I visited Singapore a few years ago and was amazed by all the modern architectures of this country. The Gardens by the Bay wasn’t built back then. Looks like I need a trip back soon! Singapore is one of my favorite cities in the world, and even spending six days wasn’t enough to see all I’m interested in, so I definitely have to go back. I didn’t do Santosa, though, a probably won’t since I’m not a great amusement park kind of person. Did you do the zoos? They are great, especially the night zoo. The best thing about Singapore is just its diversity and energy – aaah, I need to go back asap! 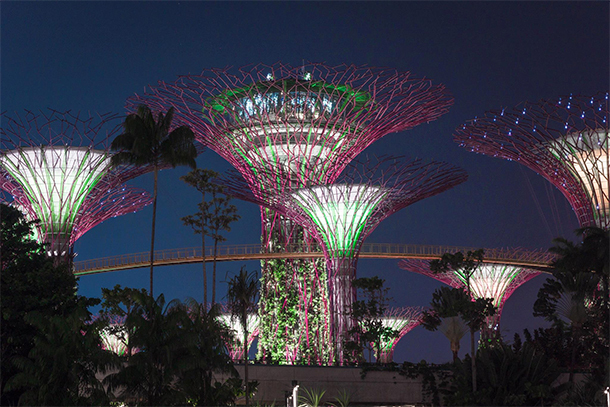 Singapore looks so stunning and I do wish to visit some day soon! Thank you so much for sharing all of these recommendations, I’m excited to experience them in person, especially the Gardens by the Bay and Cable Cars! I’ve only been to Singapore once for a day on a stopover and I really wished that I’d stayed for longer. It’s such a gorgeous place (if a tiny bit humid). Haha, I went for a walk at about 9am and had to turn around pretty quickly because of the humidity.